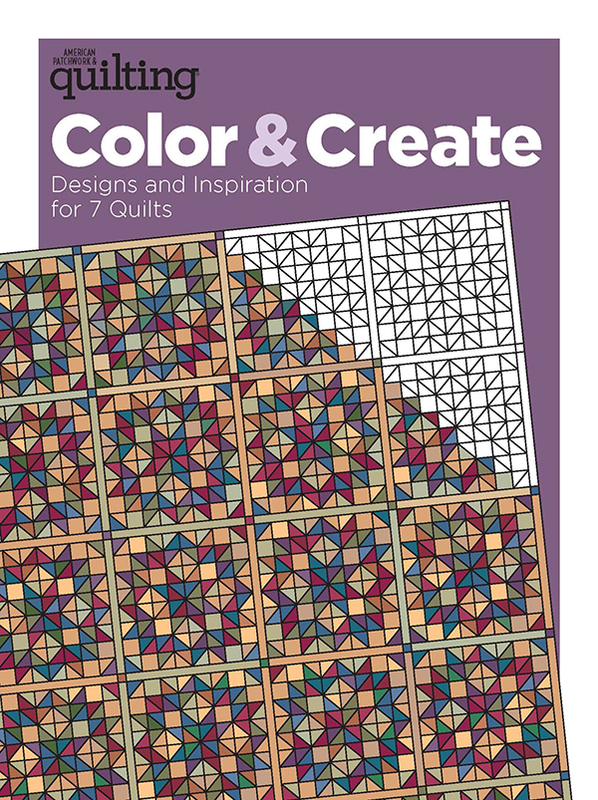 Highlight favorite two-color combinations with quilt patterns made for a limited palette. 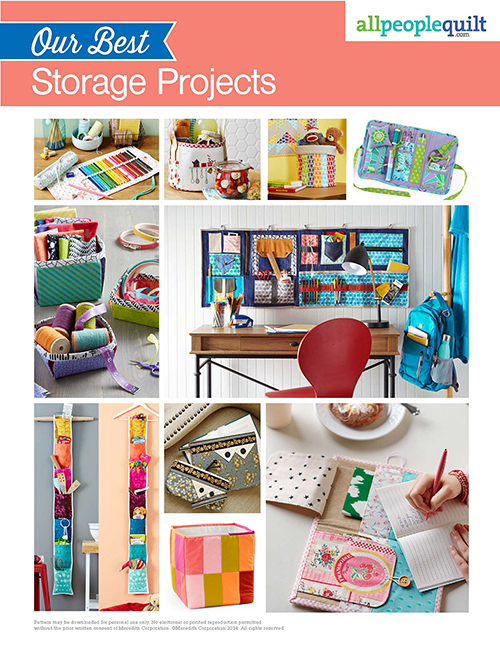 From scrappy designs to classic two-color quilts, these patterns are stunning as decor. 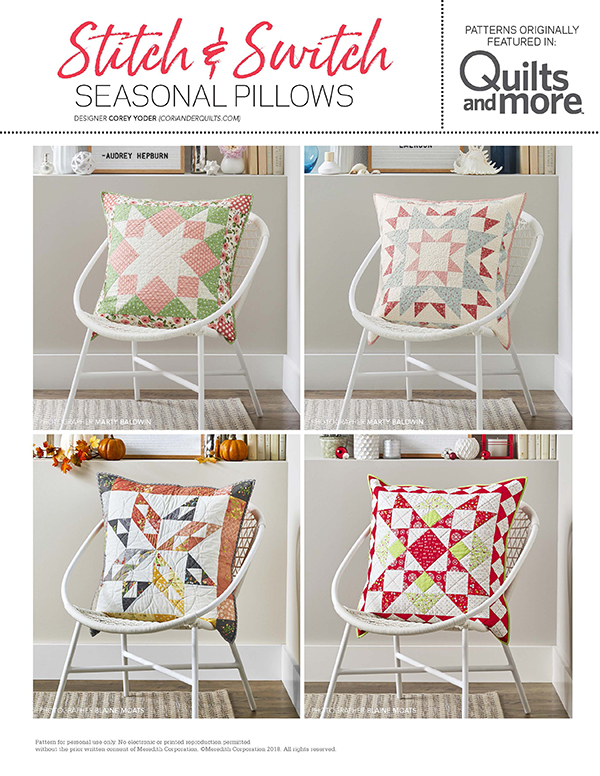 All patterns are throw size. Ocean Waves by Miriam Kujac. 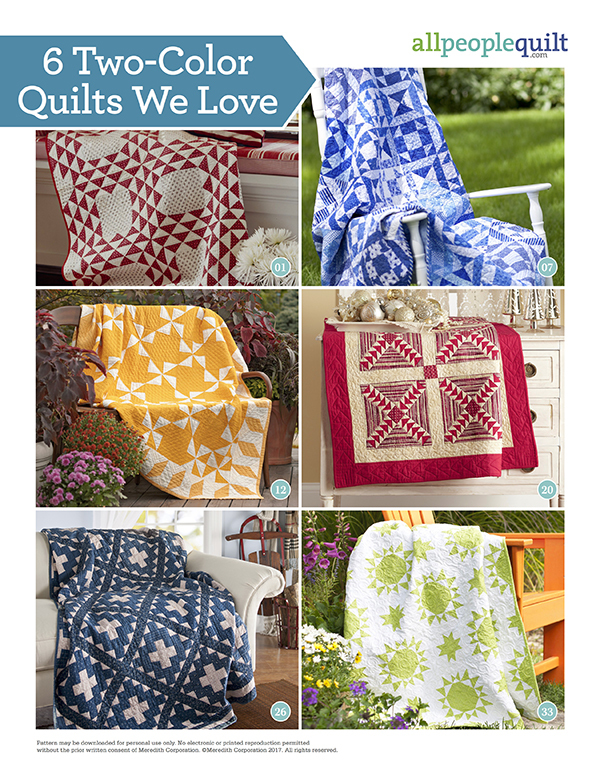 Make waves this summer with a re-creation of this antique two-color quilt. Its radiating pattern ripples out from the center blocks across the entire quilt. Finished quilt top: 66x78". Reflections by Monique Dillard. 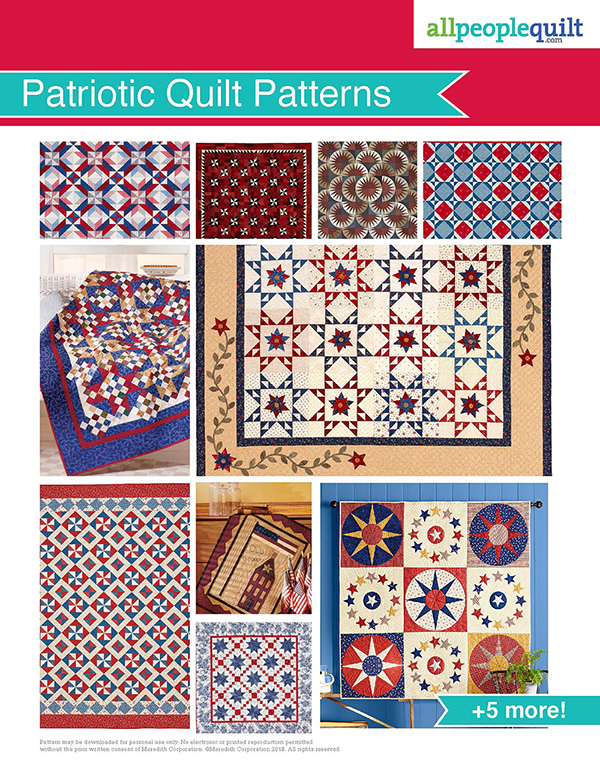 There is something about two-color quilts that is timeless and classic. In this blue-and-white throw, half of the blocks are made with dark backgrounds and half with light backgrounds.Finished quilt: 60x68-1/2". Finished blocks: 8-1/2" square. Cheddar Pinwheels by Miriam Kujac. 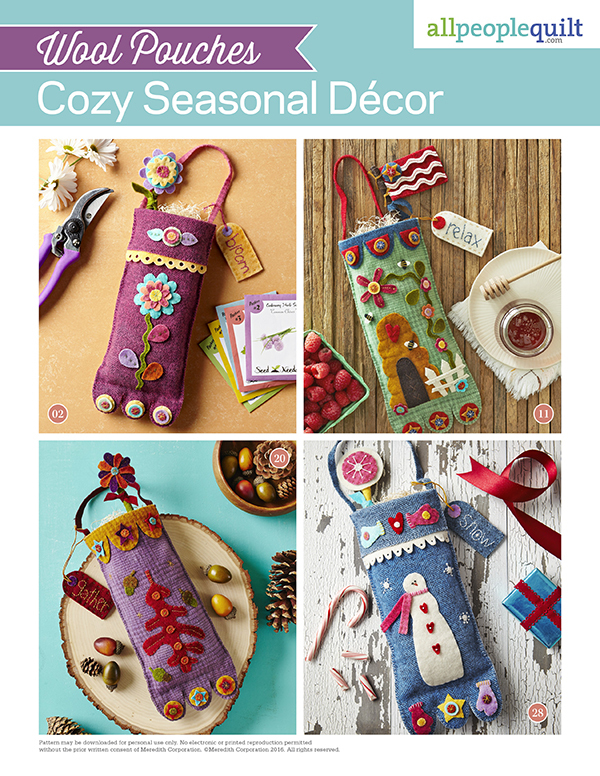 Re-create the cozy antique throw to cuddle under this harvest season. Although it may seem like a two-color quilt, this quirky throw, pieced by an unknown quiltmaker, contains solid Cheddar, cream-and-blue shirting, and muslin. Finished quilt: 75-1/2x961/2". Finished block: 7" square. Christmas Geese by Avis Shirer. Flying Geese soar in crisscross formations on this red-and-white delight. 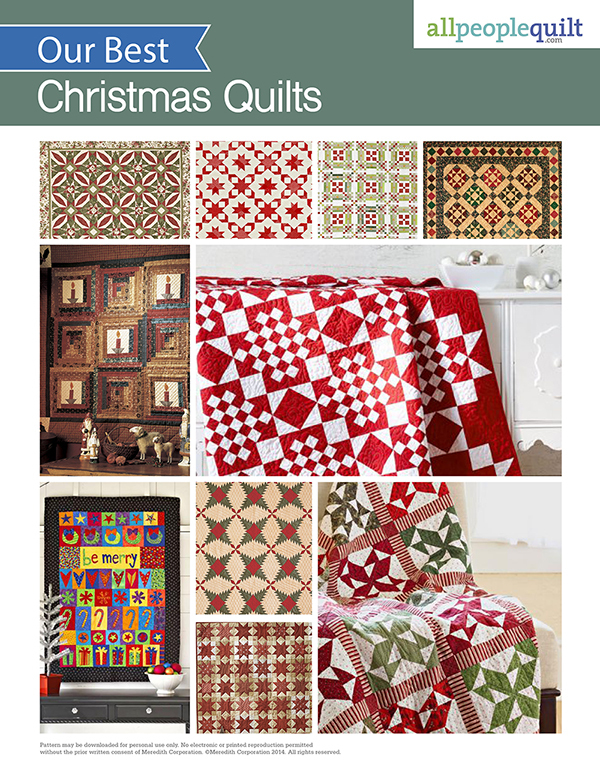 To give the quilt a hint of holiday panache, carefully cut stripe fabric for the large triangles in each block. Finished quilt: 44-1/2x56-1/2". Finished block: 10" square. Antique Album by Pam Buda. Past meets present when you re-create this scrappy antique quilt. 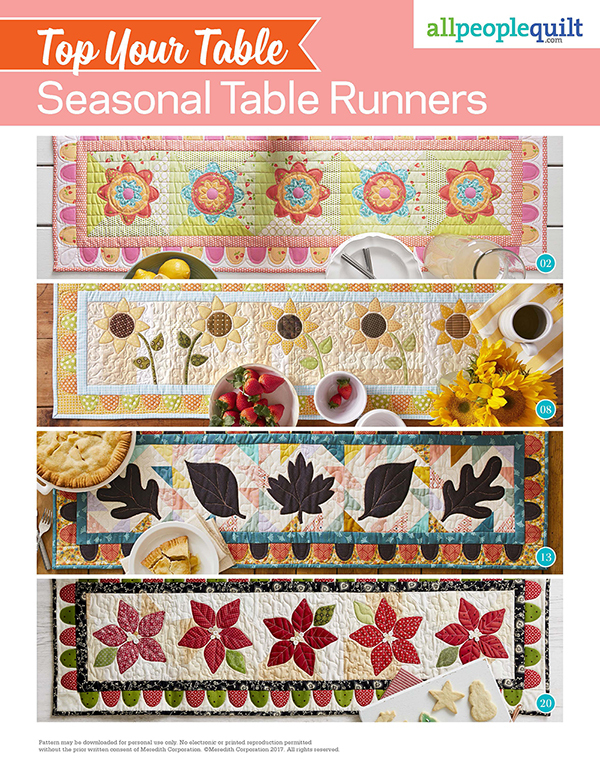 Whether you make a two-tone combo, as the unknown quiltmaker did, or broaden your palette, you're sure to complete a quilt that will be appreciated by generations to come. Finished quilt: 74-1/8x83-1/8". Finished block: 9-7/8" square. Limeade by Kathleen Whiting and Natalia Bonner. With ingredients as simple as a single green tone-on-tone and solid white, this is a refreshing throw. 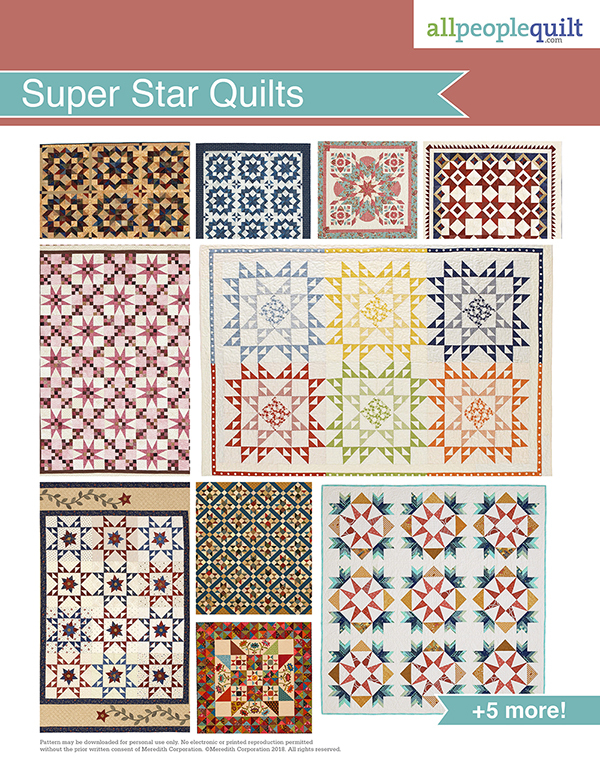 A secondary star pattern, formed by an on-point block setting and sashing, gives this graphic quilt a tangy twist. Finished quilt: 64-1/8" square. Finished block: 8" square.